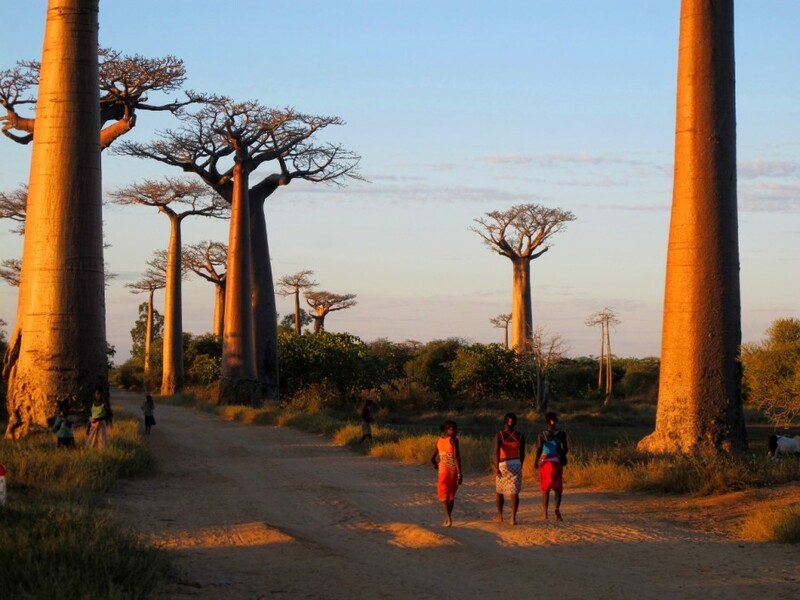 Ross Borden walks the most famous road in Madagascar. The world’s fourth largest island, Madagascar separated first from the African continent 135 million years ago, and then the Indian subcontinent 88 million years ago. Its plants and wildlife have been evolving in complete isolation ever since. 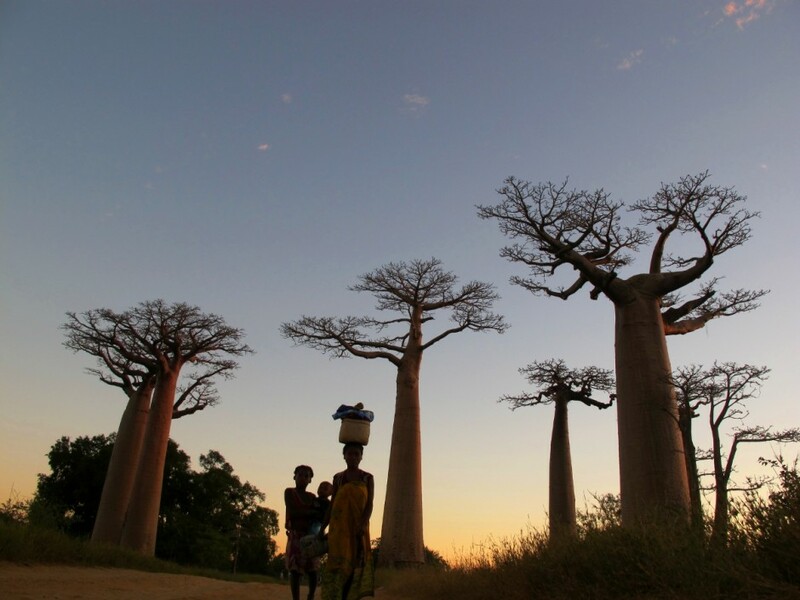 Although not found only in Madagascar, the baobab tree creates striking scenery on the island’s west coast and plays an important role in the region’s ecosystem and the mythology of its people. And there’s no better place to see it than lining this dirt road a few miles northeast of Morondava: Avenue du Baobab. During my visit, I learned that overland travel is brutal in Madagascar. There are no good roads from the south of the country to the north, and if you don’t have the funds to fly, you’ll need to take a long, bumpy ride. 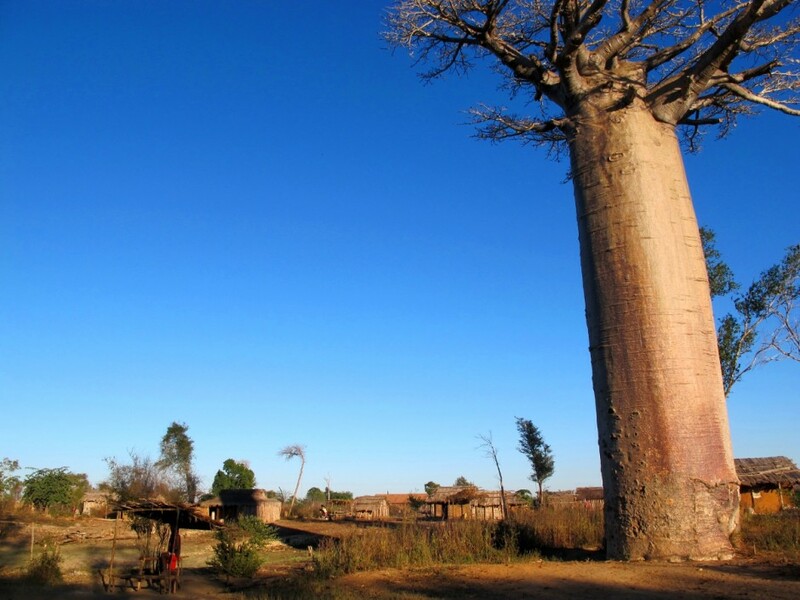 The good news is, natural attractions like the Avenue du Baobab make every minute of the trek worth your time when you finally get there. 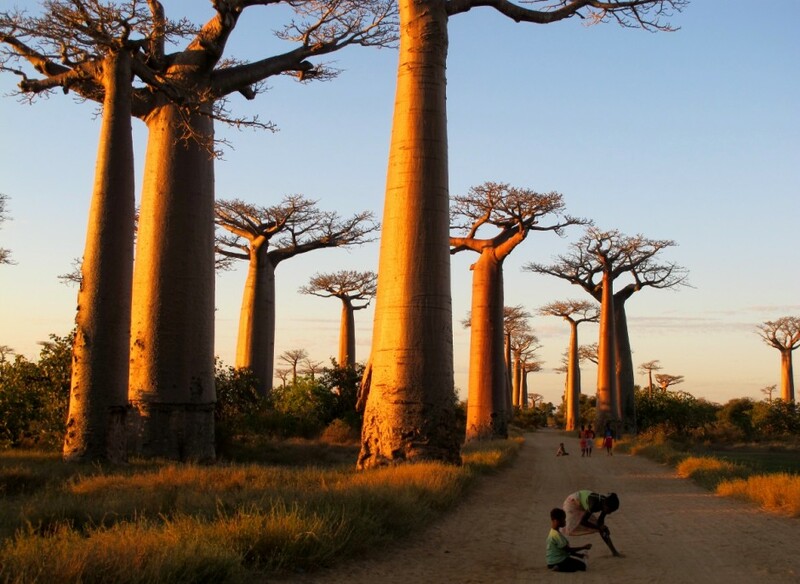 There are hundreds of thousands of baobab trees in Madagascar. But the most famous can be found a short, bumpy ride from Morondava on the island's west coast, lining this straight dirt road. Local kids herd their cattle through lily pads in full bloom near Avenue du Baobab. A word you hear a lot in Madagascar is "zebu," a species of humped cattle brought to the island from South Asia centuries ago. In Madagascar, everything from the cow blocking the road to the steak on your dinner plate is "zebu." 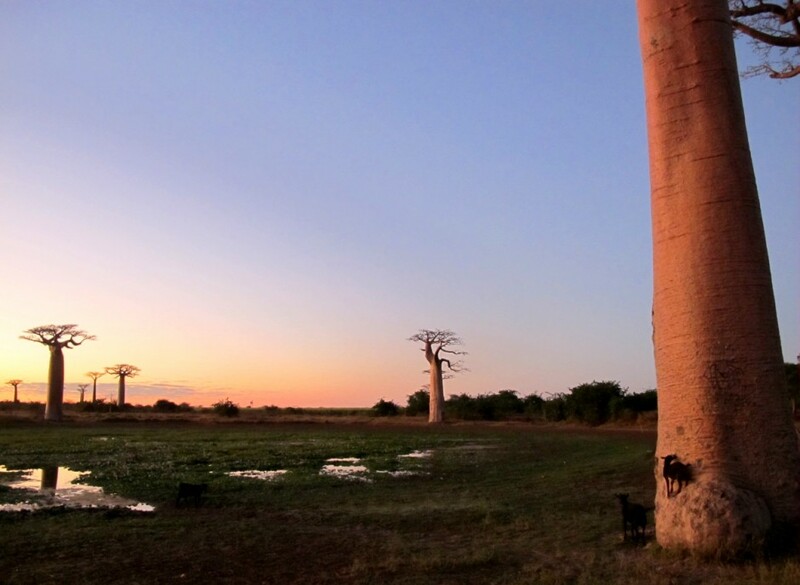 Morondava is the best base for a visit to the Avenue du Baobab, and I recommend staying at the Chez Maggie Hotel. It's run by an American, Gary Lemmer, who also puts together adventure trips up and down the coast and to mind-blowing national parks like Tsingy. 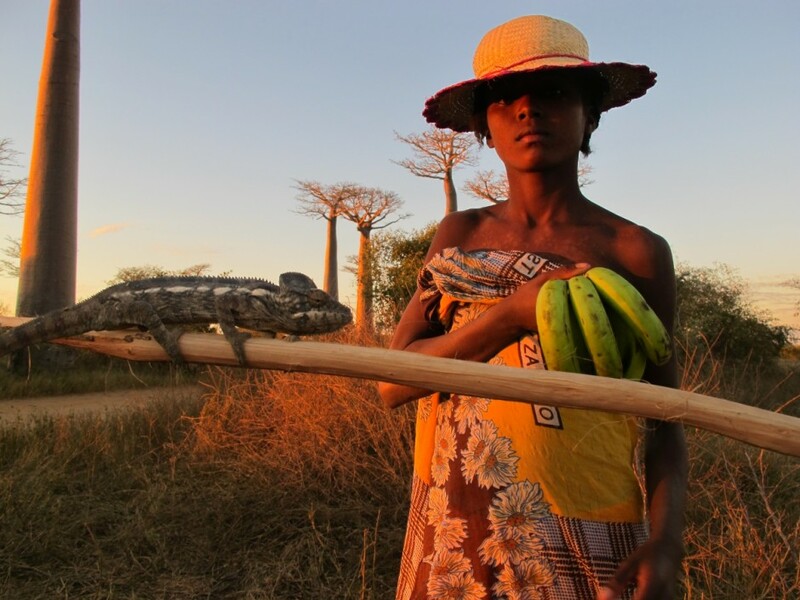 A girl sells fruit with her scaly companion. 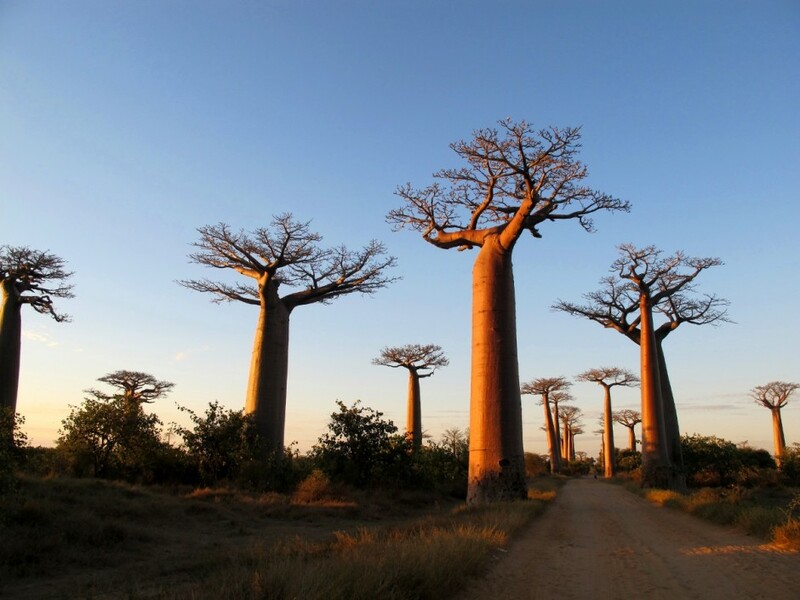 The baobab's fruit is said to have more vitamin C than oranges and more calcium than a zebu's milk. I bought some from this girl...an acquired taste. A goat perches on the side of a baobab trunk to avoid one of his siblings. 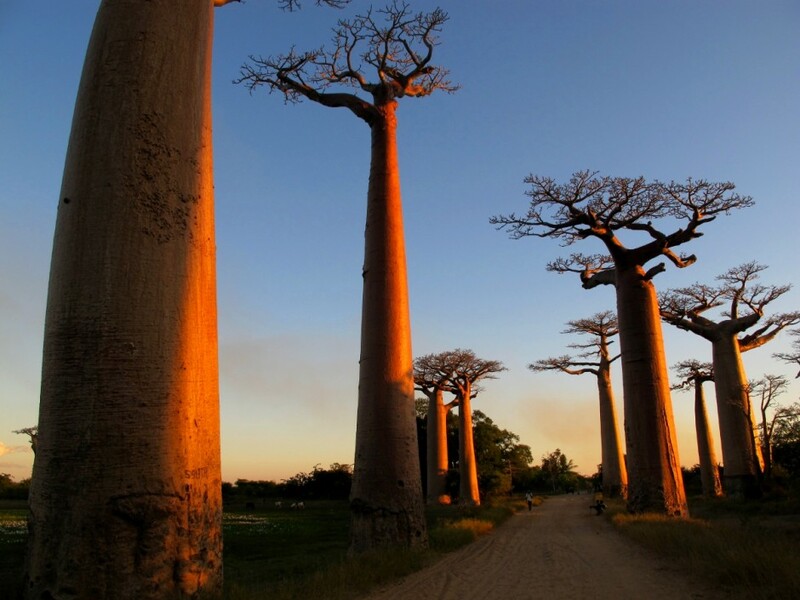 Very few baobabs have been logged because they're made of a fiber that's literally useless for burning or construction. Their nonexistent commercial value is essentially what has preserved them over thousands of years. 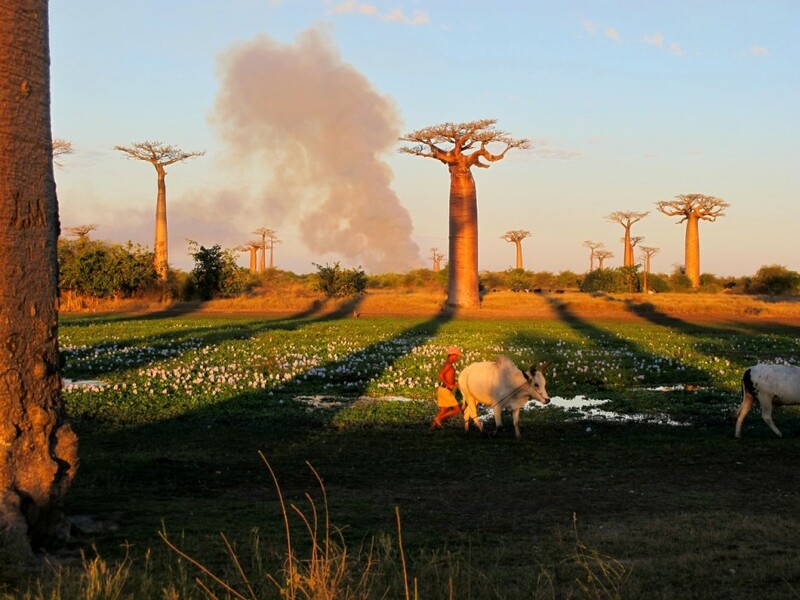 Tribes have coexisted with the baobabs for thousands of years in Madagascar -- the trees are an immutable part of the landscape in this region. 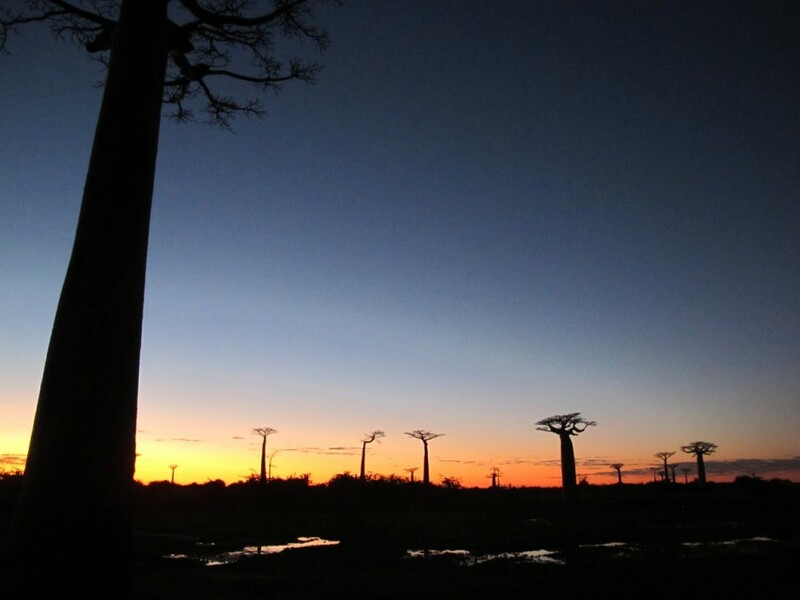 In most places baobabs are found, it seems as though they grow equidistant from each other, almost like they were placed there by humans...like a grove of massive windmills. 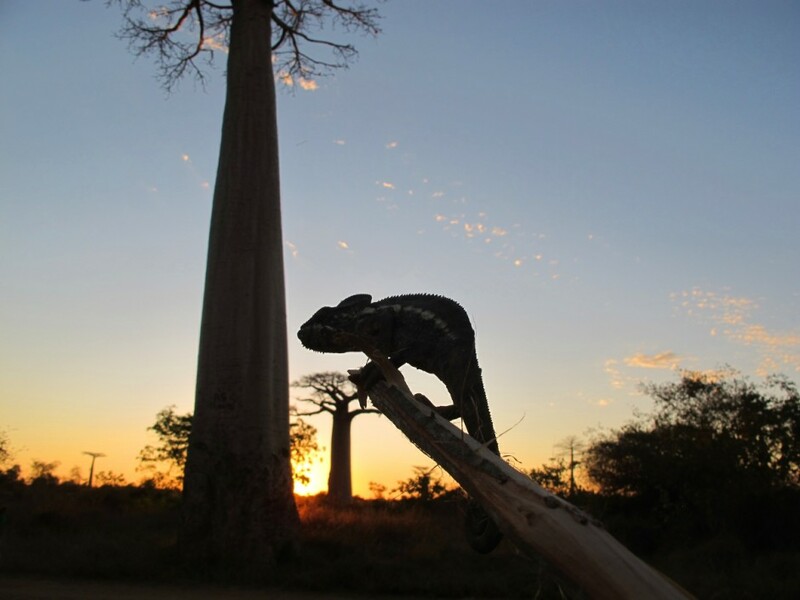 Just as iconic and even more common than baobabs in Madagascar is the chameleon. A visit to this region of the island almost guarantees an encounter with the creature. A Malagasy girl and her brother and sister walk home from an afternoon washing in the river. 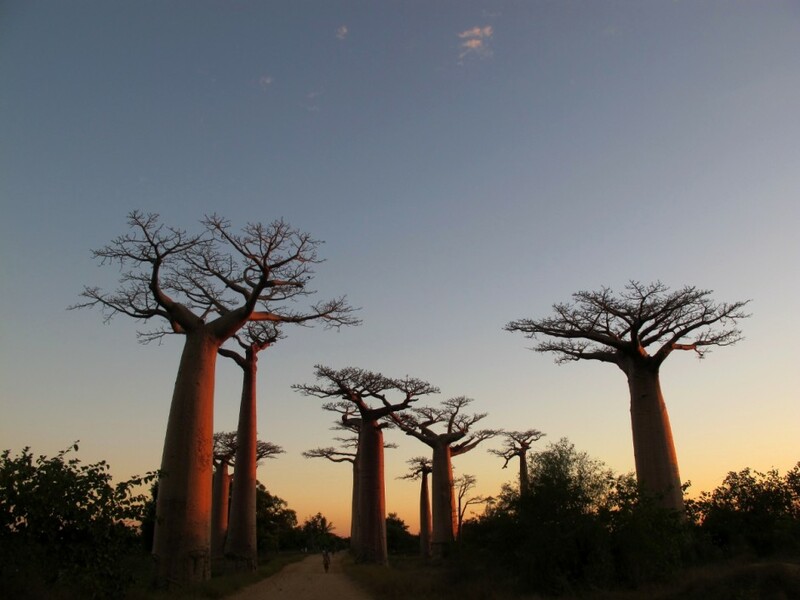 Many of the baobabs in Madagascar are said to be more than 1000 years old. The exact age of the trees is difficult to confirm, given that their wood doesn't produce "tree rings." 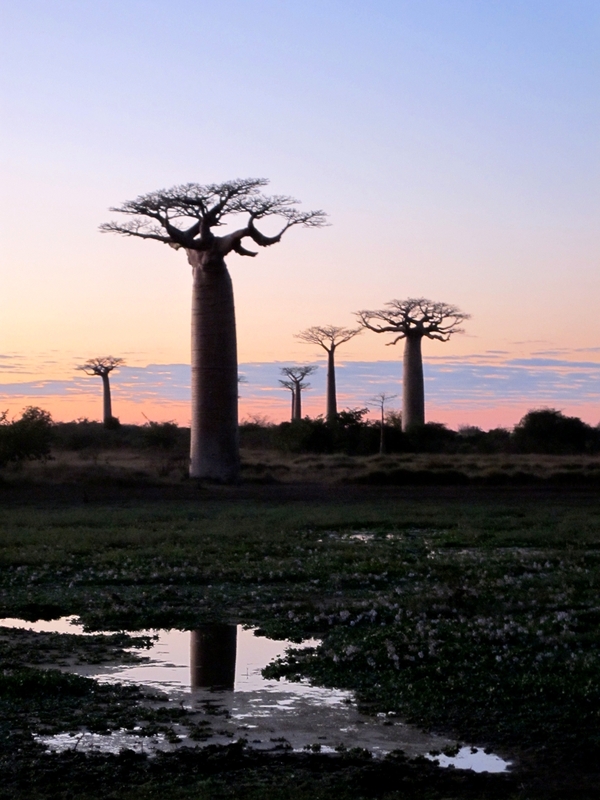 The baobab is known as the "upside down tree," and when the branches lose their leaves you can see how they resemble roots in the ground.